I popped into my local bottlestore to get another good pinot. I had my head set on a Greywacke from Marlborough, because I knew it would rock my world. Ruby colour. 12.5%. Earthy ordinaire nose. On palate the wine is solid and well-structured, robust for a Pinot Noir, tasting of red berries and plums, with drying tannins. Pleasant drinking, and it had enough depth and fruit to hold the second night without fading. So that was good. More B-side than A-side tho. What wasn’t so good was that the bottle still cost more than a quality brand NZ pinot would have, and I didn’t learn much about Bourgogne wine from drinking it, other than it wasn’t that special. It wasn’t perfumed, it wasn’t floral, it wasn’t that earthy earthy either. I’m not convinced it even tasted foreign. I know that if I spend $200 on a ‘name’ Burgundy like Faively I would get a great drop. But I don’t want to spend that much. So what I am left with is the knowledge that that was two nights of wine appreciation and $50+ that I won’t ever get back. I won’t fall into the trap again. If I want a good Pinot, I must remember, buy local; buy local: Buy Local. 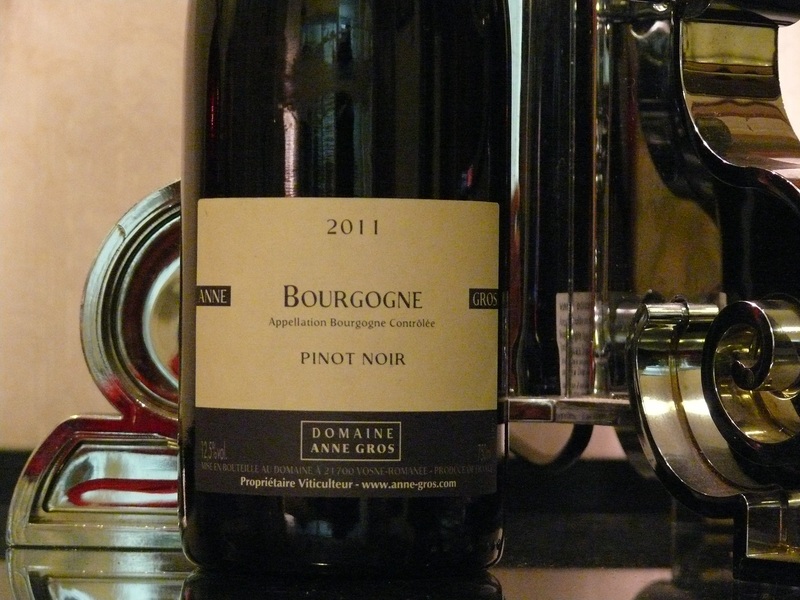 This entry was tagged 12.5%, 2011, 3, Bourgogne, Dom Anne Gros, G, Off Topic, Pinot Noir, Wine of France. Bookmark the permalink. That is such a shame as I had enjoyed many great wines from Anne Gross (as well as many of the others in her family – checkout the history, it’s amazing!). Don’t give up on Burgundy, it may disappoint as often as it delights, but when you hit a good one you remember why you fell in love with wine! !